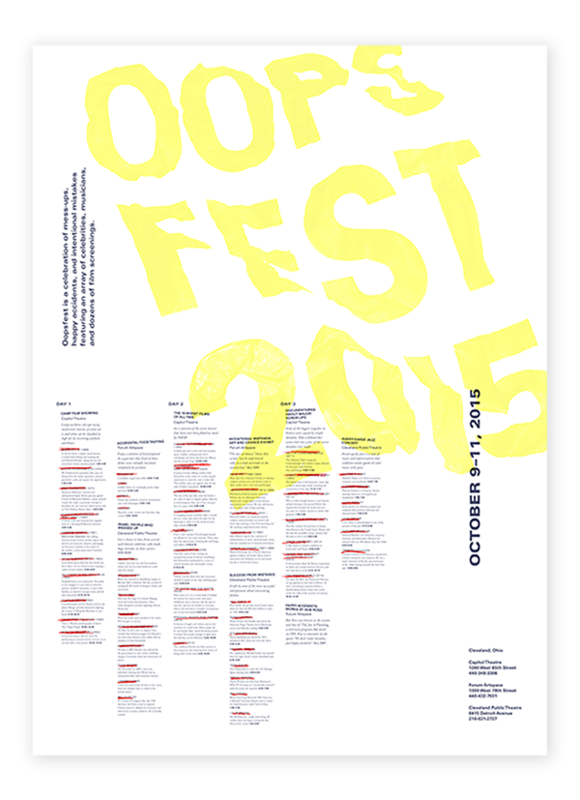 Oopsfest 2015 is a festival that celebrates all kinds of mistakes. The festival is spread out throughout three days, and takes places within three venues. There a three different types of events: happy accidents, intentional mistakes, and your classic screw-ups. There are 60 different events in total, and each is represented on the poster. There is also an accompanying app that furthers assists festival goers in navigating the festival, as well as a promo video.